Orio’s net sales for the fourth quarter of 2018 decreased by 19 percent compared to the corresponding quarter of the previous year and amounted to MSEK 136 (168). Operating result for the quarter was MSEK -41 (-28), which includes items affecting comparability of MSEK -33 (-23). Orio's net sales for the third quarter of 2018 decreased by 31 percent compared to the corresponding quarter of the previous year and amounted to MSEK 148 (188). Operating profit for the quarter was MSEK -2 (1). 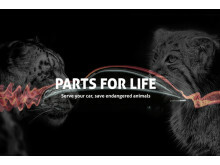 Orio AB supplies automotive spare parts globally and third party logistics services. The company is headquartered in Nyköping, where the logistics and distribution center is also situated. Orio also has an office in Trollhättan, Sweden, and nine wholly-owned subsidiaries in Europe and the USA. 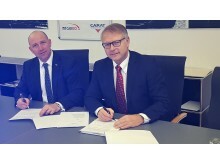 New Shareholder at CARAT group from January 2018 Orio Deutschland GmbH from 1st January 2018 new Carat/ad-CARGO limited partner With effect from 1 January 2018, CARAT and Eschborn based Orio Deutschland GmbH, will become a member of ad-CARGO network. 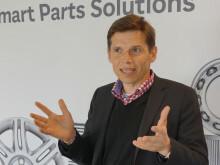 The automotive spare parts specialist Orio continues to expand its product range. 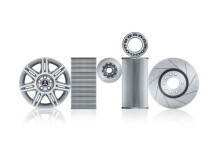 In an effort to keep the iconic Saab brand on the road, Orio North America, is proud to announce the launch of its “Parts for Life” initiative. 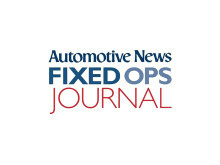 The initiative provides a lifetime warranty on Original parts to Saab owners who repair or service their cars at a Saab official service center. The initiative will also support the work of Nordens Ark, which works to protect endangered species. A global parts and logistics company. Orio AB is a global parts and logistics company. Our roots in the automotive industry, aftersales and spare parts sector, go back to 1947 and we have been responsible for Saab Automobiles' aftersales as a separate business since 2010. Today we market, sell and distribute Saab Original parts in over 60 countries throughout the world. The markets with the largest fleets of Saab cars are the USA, Great Britain, Sweden, Germany, Switzerland, Italy and Spain. Orio´s operation includes the entire process chain including purchasing, planning, storage, marketing, sales and distribution of Saab Original parts to customers worldwide. We are also a complete logistics partner who provides logistics services for a number of companies. The objective of the Orio´s business is to create sustained growth. We will achieve this thanks to our experience and competence within the spare parts sector and logistics business, which has been built up over more than 66 years. Together with well-developed and adapted computer systems and processes, and with good customer and supplier relations, we will work towards the future by further developing and widening our business. Our corporate head office is located in Nyköping, Sweden. This is also the home of our logistics and distribution centre, one of the largest and most sophisticated in Scandinavia with class leading capacity and flexibility. This includes a storage area of around 88,000 m2, a stockholding of around 70,000 items and a capacity to process up to 30,000 order lines per day. Every day we distribute goods corresponding to 50 truck-loads of goods. We have also established a commercial office in Trollhättan with sales, marketing, technical and support functions. In addition, at present we have nine subsidiaries spread over our markets which primarily function as sales companies. The company has around 288 employees in Sweden. A total of 52 people work in our subsidiaries.